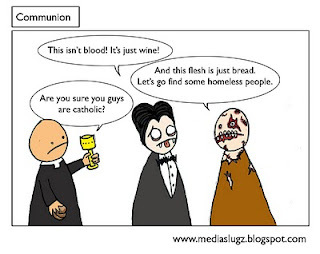 This scene would never happen because churches are filled with crosses and Dracula is allergic to them or something. I never quite figured why that was supposed to be. Do metal ones work or just wood? Do they have to have the wee bloke on it? Does crossing your finger work? 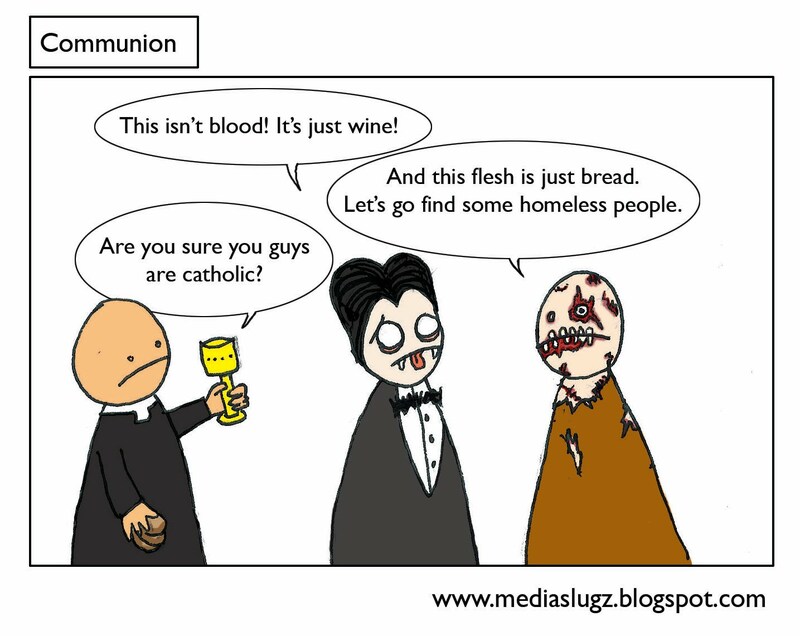 Does Dracula just disaprove of organised religion? Is he jealous of all the attention jesus got for rising from the dead? Do Stars of David work? Is that why Jews wore them in concentration camps? To stop vampire's attacking them in their weakened state, turning them into the undead and starting a Yidish Vampire revolt against their Nazi oppressors? To be honest, I don't know.